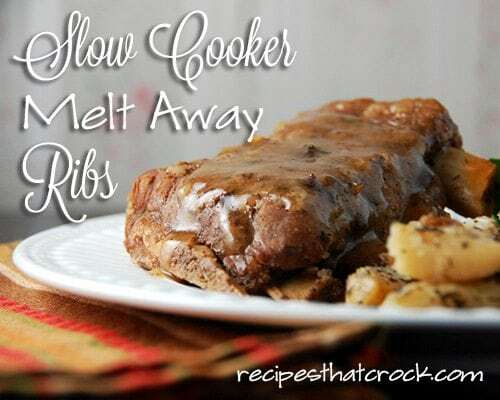 Slow Cooker Melt Away Ribs - Recipes That Crock! 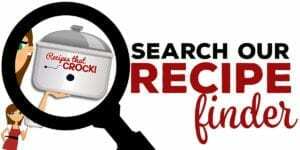 Are you looking for a rib recipe that has a very unique, mouth watering flavor that also is fall off the bone tender? These Slow Cooker Melt Away Ribs from Gooseberry Patch’s Slow Cooking All Year ‘Round are just the ticket! We wanted to switch things up a bit since we had just made these Slow Cooker Saucy Ribs (which were oh so yummy!) and try a rib recipe that didn’t have barbecue sauce in it. 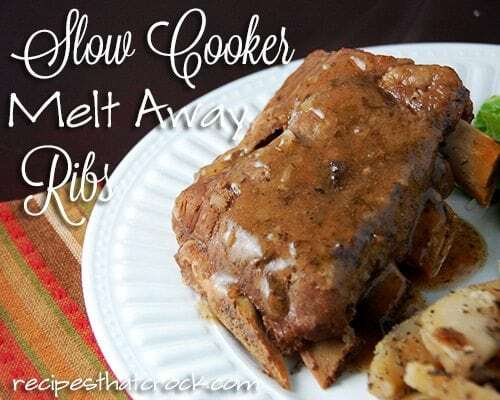 That is when I ran across this Slow Cooker Melt Away Ribs! As I went through the ingredients, it all sounded good. One ingredient had me stumped though…Greek seasoning. Hmm…read about our adventures in pursuit of Greek seasoning in rural southern Indiana here. This was another insanely simple recipe. That’s actually one of my favorite things about cooking with my slow cooker. 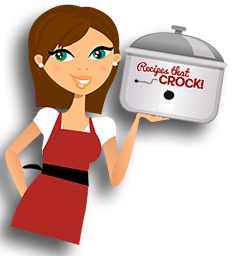 Most of the time, my slow cooker recipes are my easiest! 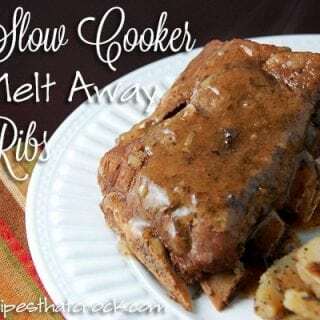 This Slow Cooker Melt Away Ribs recipe was one of those recipes that starts filling the house with delicious smells after just a couple of hours. By the time dinner was ready, Michael was more than ready to dig in! These were SO good that our little man (who we have had a horrible time getting to even try meat) devoured 1-2 ribs all by himself. We were thrilled as he kept saying “More! 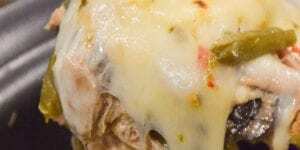 More!” We finally found a recipe that got him to give meat a try and he was in love! Cut your slab of ribs into sections. I usually cut them in three to four rib sections. Now set them aside for a bit. 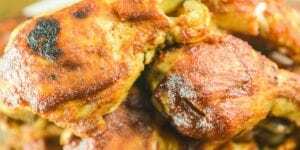 Now mix together your apple juice, Greek seasoning, Liquid Smoke and dried minced onion in a large slow cooker. Place your ribs in the mixture in your slow cooker. 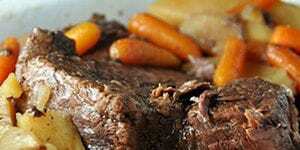 Take your heat down to low and cooker for 1-2 hours more. 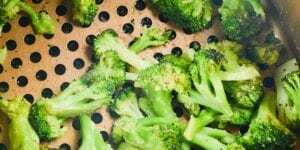 Once they are done, take two cups of liquid from your slow cooker, place it in a saucepan and bring to a boil over medium-high heat. While the liquid is coming to a boil, whisk together your water and cornstarch. When the liquid reaches a boil, pour in the cornstarch mixture and stir the liquid continually until it thickens and becomes a yummy gravy! 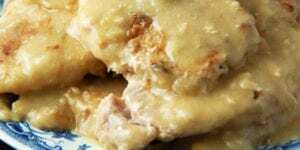 Grab a section of ribs, spoon some gravy on top and enjoy!